Fishman’s findings were based on a study of 25 adolescent and adult patients with idiopathic or degenerative scoliosis. Each participant agreed to perform one yoga pose at least once daily. 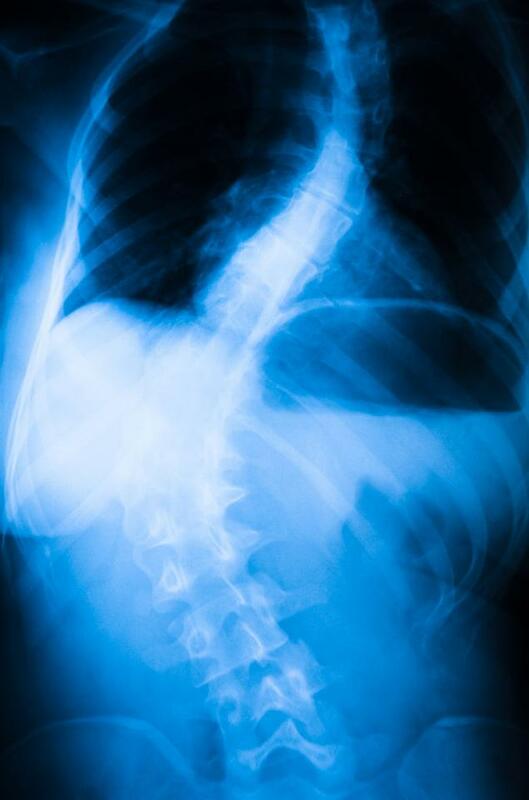 Investigators took scoliosis radiographs before treatment and at the conclusion of the intervention for each participant, which ranged from 3 to 22 months later. “The time difference among participants in getting a second X-ray was due to the fact that some participants lived far away, were children and/or had intercurrent illnesses,” Fishman said. “The X-rays were all done by independent radiologists who knew nothing of the study. Our instructions were to have a repeat • X-ray in 3 months.” Nineteen patients successfully completed the trial and practiced the pose more than three times a week for an average of 7 months. In this group, adolescents improved 49.6% and adults improved 38.4%. Conventional treatment recommendations for scoliosis include bracing for patients with curves in the 25- to 45-degree range, and surgery for patients with curves greater than 45 degrees. For those wearing a brace, participation in 2-hour exercise sessions three times per week for 3–4 months is required, after which patients are urged to continue exercising for 30 minutes per day for the rest of their lives. Fishman recommends that instructors who are approached for training by a person with scoliosis should make an effort to speak to the client’s doctor and make some teaching modifications. Limit side plans to the weaker side. The whole point is to do the exercise only on the convex side of the lower curve (of the S shape). The back must be asymmetrically strengthened. If someone with scoliosis is in a class where participants do the side plank on both sides, then the person should do it again on the same side when the class is doing it on the other side. General core work—such as planks and bridging—can be done together with other students. Its lack of a control group, the small number of participants, and reliance on self-reporting by subjects regarding adherence. More research is needed.